Uzhhorod, the capital of the Zakarpattia region, is located in the very west of Ukraine. This city at the foot of the Carpathians is the smallest regional center of the country, but has a rich and long history. Winter in Uzhhorod is usually mild with an average temperature of about zero degrees Celsius. 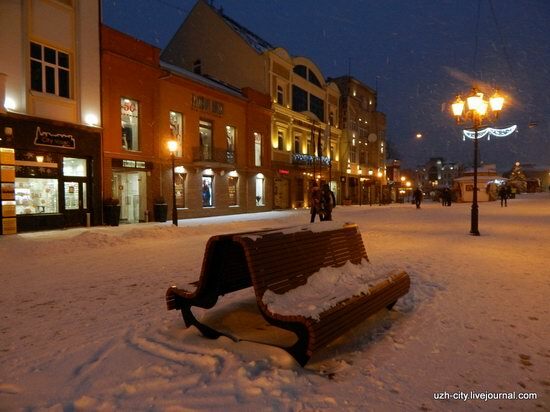 This winter, the first heavy snow fell in Uzhhorod only in January and the streets of the city decorated by the New Year and Christmas illumination became very picturesque. Photos by: uzh_city. Berehove is a small town with a population of about 24 thousand people located in the south-west of the Zakarpattia region of Ukraine, 69 km from Uzhhorod by road, near the border with Hungary. This town is the main center of Hungarian culture in Zakarpattia, the Hungarians make up about half of the town’s population. That’s why besides the Ukrainian, the Hungarian language is common here and has the official status of a regional language. Berehove on Google Maps. Photos by: neo7777vitaha. Uzhhorod is a relatively small city with a population of about 100,000 people located in the west of Ukraine, the capital of Zakarpattia region. 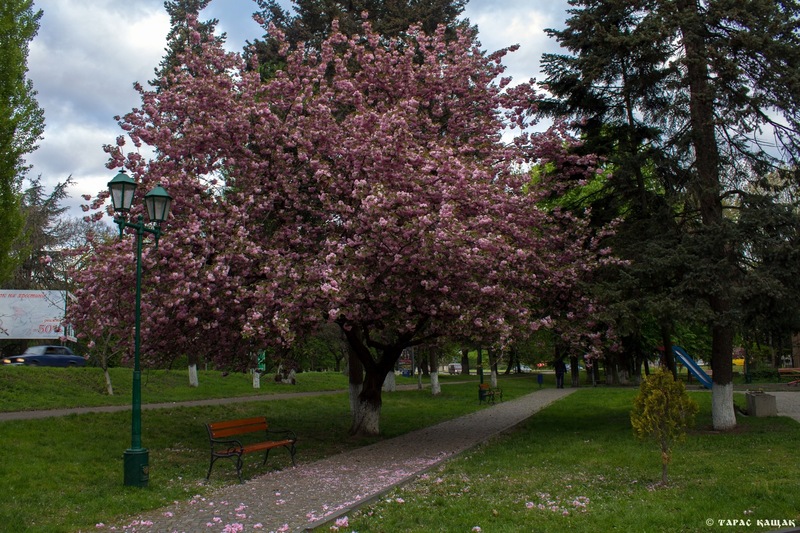 Due to the fact that Uzhhorod has a wide variety of green spaces, it is often called “the garden city”. This is particularly evident, if you come to Uzhhorod in the middle of spring, when sakura and apple trees blossom in the streets. Most often, this period begins during the second half of April. Photos by: uzh_city. Uzhhorod Castle is the historic heart of the city of Uzhgorod, the capital of the Zakarpattia region. The castle, originally built by the Drugeth family in the Middle Ages and rebuilt several times, is a mixture of architectural styles and materials of the 13th-18th centuries. Since 1947, the castle is used as a museum of local lore. This monument is one of the most visited tourist sites of Uzhgorod and Ukraine. Photos by: Maxim Ritus. 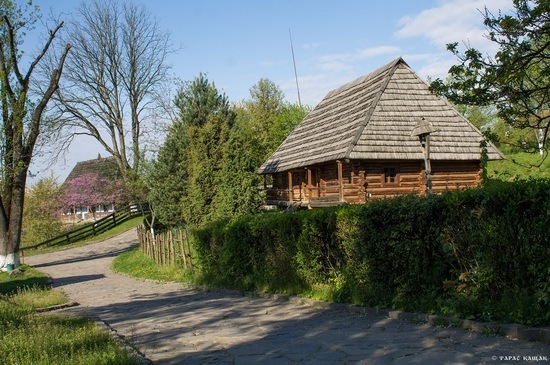 The Museum of Folk Architecture and Life in Uzhgorod is an open air museum, consisting of architectural monuments of old Transcarpathian villages, and examples of the oldest and most common forms of folk arts and crafts. The museum, opened to the public in June 1970, covers an area of ​four hectares. 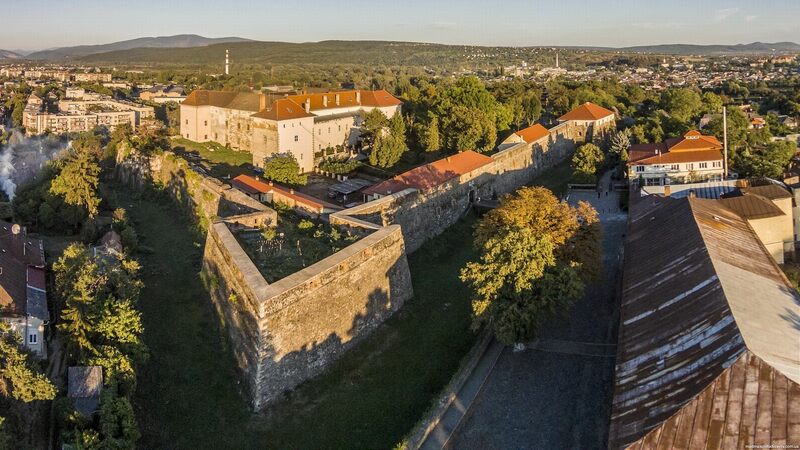 It is located near the territory of Uzhgorod castle (Kapitulna Street, 33/a). If you visit Uzhgorod, the capital of Zakarpattia region, during the period from mid-April to early May, you will find the streets decorated with flowering sakura trees. 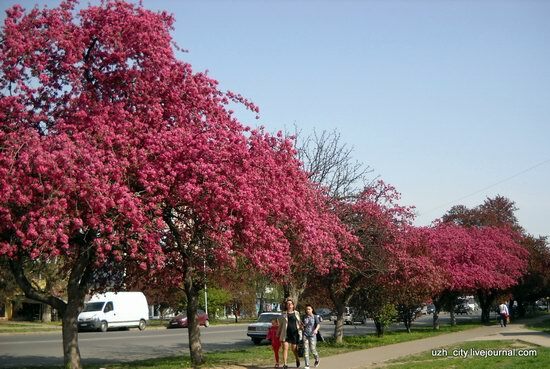 In these days, Dovzhenko and Rakoczy streets, and also ​​Pushkin Square, which are sometimes called Sakura Alley, turn into a fantastic Garden of Eden. 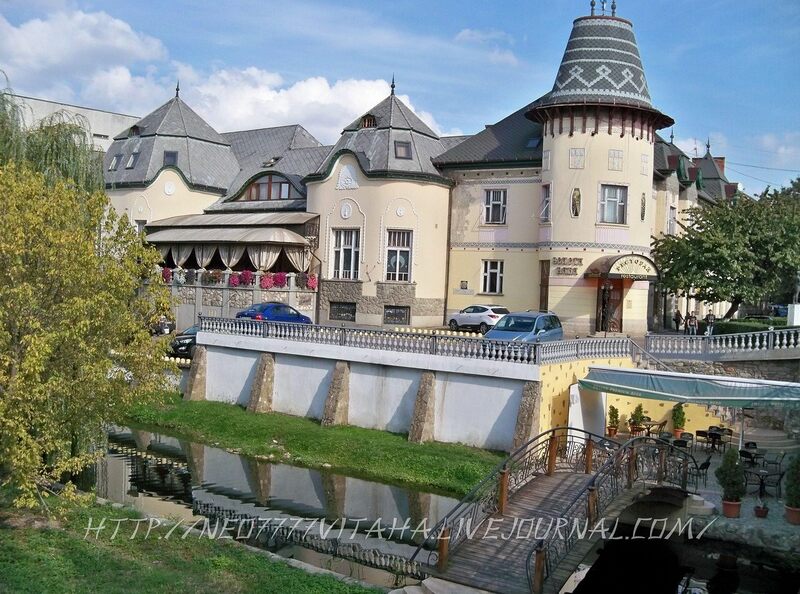 Uzhhorod is a city located in western Ukraine, the administrative center of Zakarpattia region. It is the Ukrainian “window to Europe”. The city is considered one of the most important Ukrainian and European historical centers. Throughout its more than a thousand year history, Uzhhorod repeatedly passed from hand to hand, changing its rulers and “owners”. 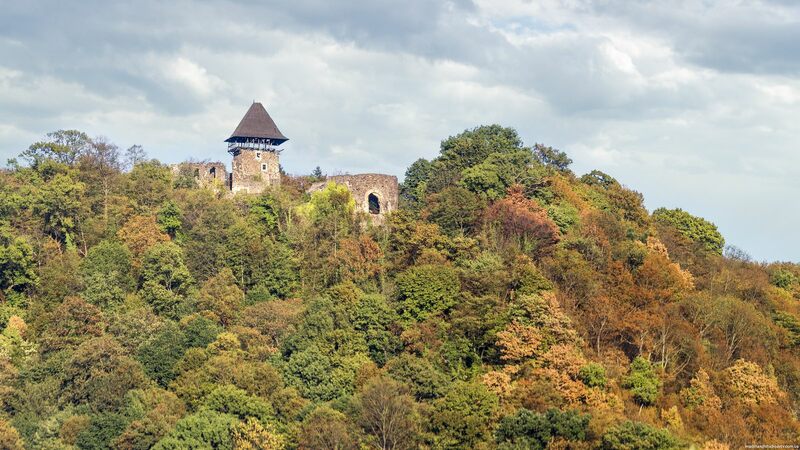 Castles of Zakarpattia region have a special place in the list of attractions of Ukraine. They were built at different times by different rulers and peoples. Scattered in time, the castles are united by a common geography and purpose. Today, there are more than a dozen castles in the region. Let’s fly over the two of them – Mukachevo castle “Palanok” (in Mukachevo) and Nevitsky castle (12 km north-east of Uzhgorod). Uzhgorod is the capital city of Zakarpattia region located in the western Ukraine. It is one of the most ancient cities in the country founded before the 9th century AC. In 1945, the region became the part of Ukrainian SSR and the USSR. Since 1991, Uzhgorod is the least populated and western regional center among 24 of those in Ukraine. There are a lot of architectural monuments in the city. In 1930s Czech architects created an architectural ensemble of Uzhgorod center in the form close to constructionism.